Traveling in Delhi has never been cheap. And if you are planning to hire a taxi or book a radio cab, you are bound to feel the pinch. However, thanks to Aarya cabs road travel in Delhi has become little economical. At Rs. 10 per km, it is one of the cheapest radio taxis available. Though it is not the first one to offer this rate, it is definitely the only professional one. On one hand where Quick Cab and Mango Cabs struggle to provide a decent call-centre experience, Aarya Cabs has surprisingly made the entire process from booking to travel very pleasant. Compared to Ascents and Indigos offered by the likes of Yo Cabs & Meru Cabs, Aarya is a totally different (and not acceptable to some) experience in bright red Maruti Alto cabs. Aarya Cabs can be booked by calling +91-11-44104410. EDIT: This is an old article and prices have since changed. Kindly check with respective providers. Also, please do not post cab requests in comments as we are not affiliated with any cab companies. Free OLA Ride Code: Use promo code 54RWVQ when you signup. Probably the cheapest taxi service in Delhi, Ola Micro can be availed at Rs.6 per km only. Rs.200 off: If you are a first time user, you can get a discount of Rs.50 on your first ride. Just enter our referral code ‘54RWVQ’ at the time of signup. Free Uber Ride Code: Use promo code uber2india when you signup for a free ride. One of the more reliable and cheap taxi services in Delhi, UberGo can be availed at Rs.7 per km only. To book an UberGo, sign up free with Uber and download the app for your phone – Android, iOS or Windows. It is a good service to community. It will be better if it is available in east delhi and IP extension patpargange. Hi.. Please contact the cab service directly. Since this is a public blog, we only write about services. Arya Cabs is the poorest cab services i have ever experienced.Booked a cab got the confirmaton but the driver did not show & the customer care refused to do anything.Had to face a lot of inconvinience. I found your blog to be a really interesting. Keep up the good work and more will follow! f****** service!! !on conformation for booking!!! 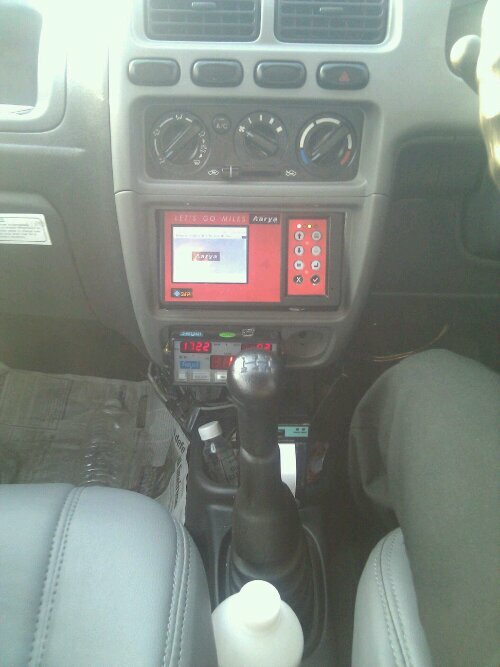 we provied radio taxi/taxi service in DELHI/NCR @ 12/= per km. dial 011 65676567 or 9211784777 any time any where. Worstest service….never call customer care..they cut d ph without understanding n providing cab solution to u. Your blog is really nice but ARYA cab is pathetich they charge toll charges even if there is no toll on they way…. and they say this is their company policy…. Thanks Deepak. We were not aware of this policy. pathetic services ARYA cab- HIGHLY NOT RECOMMENDED. horrible service…. no customer service at all…. booking confirmation 40 minutes before 50 minutes before,what the hell? ?at last they will say no and the customer will be stucked in the middle… this is really horrible,no one will ever book with such cab agencies…. Try YatriCab- Cheap and Reliable Economy Radio taxi in Delhi and NCR at just Rs 10 per km. Our organization has faced a trouble to get Corporate Cab Services in Delhi NCR. We have done lot of searches; finally we got a great travelling agency of Mahadev Travels which allows us wonderful cab services with entire facility at worth price. I really thankful to Mahadev Travels & i can recommended it, you can also use it. I want to book a cab for 4th feb 2018 morning 5 am to drop me from khanpur to sarai rohilla railway station, hownuch will you people charge ?